The main contributor to gum disease is the accumulation of bacteria in the mouth. If unaddressed, hundreds of them eventually form a super-structure called plaque. 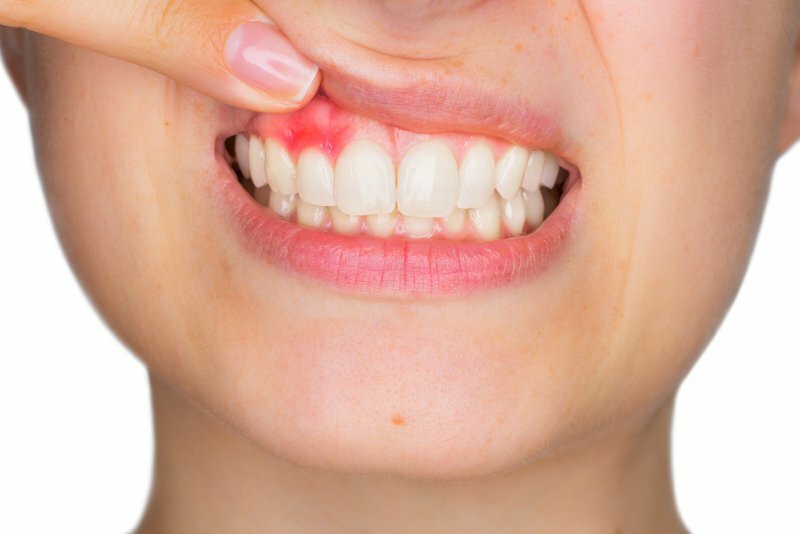 The sticky, clear substance quietly works its way beneath the gums and can cause inflammation, which is called gum disease. The urgency with which you respond to the above warning signs will determine how well you recover from gum disease. Gingivitis is the first stage of gum disease, and it’s considered the most favorable time to treat the condition. That’s because any damage done can typically be reversed at this point. The remedy may simply be to make improvements in your oral hygiene and to maintain more frequent dental visits. At this point, there may be irreversible damage to the supporting bone and fibers that hold your teeth in place. Additionally, pockets may start to develop beneath the gumline, which are places where food and plaque have become trapped. Your dentist may recommend procedures like scaling and root planing to restore your oral health. The former involves the professional removing the plaque and bacteria that have formed pockets. The planing procedure is then used to smooth the roots of the teeth to prevent any new accumulation of bacteria. If the bacteria are allowed to linger for too long, they can fully dissolve the roots and eventually lead to tooth loss. At this point, more aggressive forms of treatment may be needed, which could include complex surgical procedures. The best way to treat gum disease is to avoid the situation. That is accomplished through preventive dentistry, which includes visiting your dentist every six months for check-ups and cleanings. Along with practicing proper oral hygiene, which includes brushing and flossing your teeth at least two times a day, visiting your dentist regularly fortifies your oral health. Additionally, it helps to prevent serious health issues like heart attack, stroke, hypertension and Alzheimer’s disease – all of which have been found to be influenced by the growth of dental bacteria. So to get on the road to better oral and overall health, contact your dentist today. Dr. Joy Todd earned her dental degree from the University of Kentucky. She has since gone on to provide nearly 20 years of expert dental care to the Gahanna community. Dr. Todd helps patients both prevent and overcome gum disease at Anderson Family Dental, and she can be reached for more information through her website.